Everybody has goals in life, from reaching the top of their chosen profession to achieving a certain body type. Meeting goals isn’t always easy, however – it requires hard work, devotion and perseverance, and in this day and age, with so many distractions, it can be more difficult than ever if the right approach is not taken. 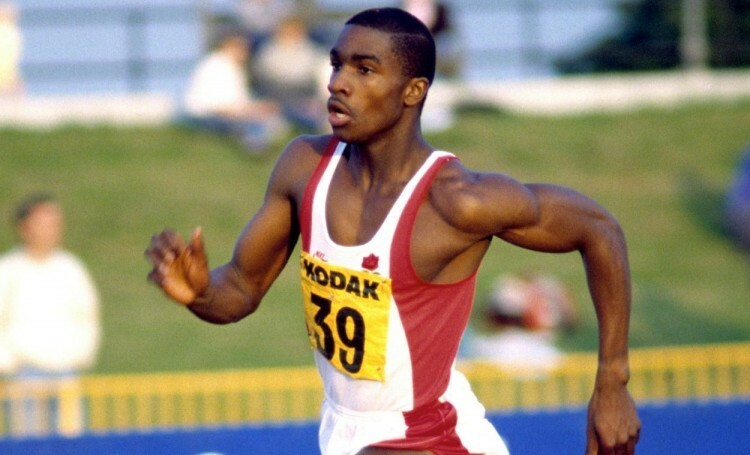 Derek Redmond is an individual that has experienced incredible highs and agonising lows during his career. A track athlete, he held the British record for the 400 metres sprint, and won gold medals in the 4×400 metres relay at the World Championships, European Championships and Commonwealth Games. He is however best known for a devastating turn of events and what should have been his crowning event at the 1992 Olympics in Barcelona. Tipped for a 400m podium finish at the very least, Derek tore his hamstring in the semi-final but continued the race limping and, with assistance from his father, managed to complete a full lap of the track as the crowd gave him a standing ovation. Having turned a negative situation into a story of perseverance and inspiration, Derek even managed to return to the world of sport, playing professional basketball for the Birmingham Bullets. In this column, Derek shares his top tips on staying motivated and reaching goals, whatever they may be. If you start to lose sight of your goals, whether short-term or long-term, they become increasingly more daunting until you successfully talk yourself out of them and give up on the process. It is better to always be checking to see how much closer you are getting throughout the whole process. Keeping track of your goals and checking your progress can help keep you motivated day in and day out. If you’re having serious motivation problems, breaking one large task into many small tasks can make it much easier to approach psychologically. Because people get a feeling of accomplishment from completing each step of the task, this trick can increase motivation substantially. All work and no play doesn’t just make you a dull individual – so the old adage says – but can hinder further progress. Whenever you hit a milestone or can safely say you’ve pushed yourself as far as you can, allot some time to unwind and enjoy yourself as a reward. Athletes have their “cheat days” – you should too, whether it is indulging in food or activities you enjoy. Identify anything that’s causing you to procrastinate, then get rid of it. You can’t become motivated if distractions catch up with you. If you’re spending too long aimlessly browsing the internet, install a “productivity” extension in your browser. These free extensions allow you to block certain sites and/or set time limits for recreational browsing. Everyone falls short sometimes. If you fail to meet your goals for the week, take it as a lesson and try to complete your next target before time – if this doesn’t work, just revise your goals to make them more manageable so that you can hit them. It’s not a sprint, it’s a marathon – one where you’re the only competitor. Don’t dwell on failure; just accept it as a human occurrence, and continue working towards your goals. Hire Derek Redmond for your workplace training program or conference by getting in touch with Champions Olympic Speakers. Simply complete the online form or call +44 1509 85 29 27 today.